This rental is for month long or greater renters. 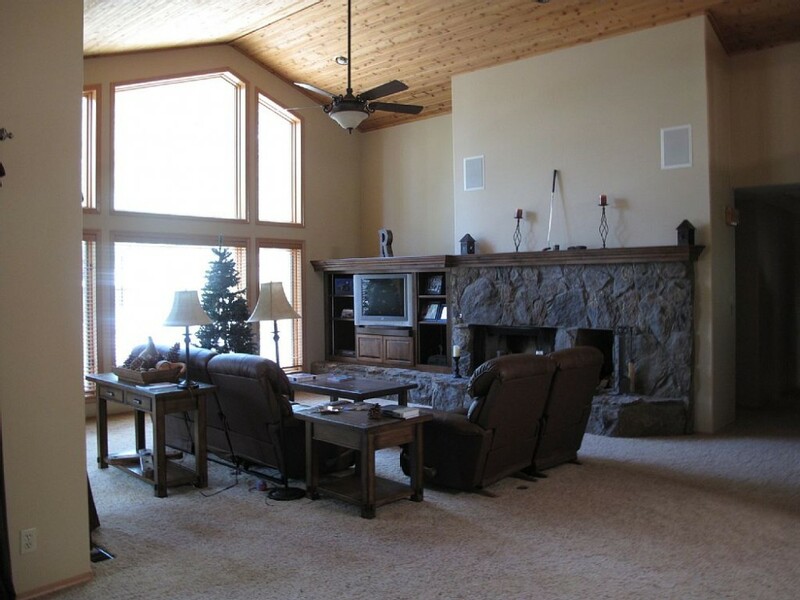 Enjoy the cool breezes of Flagstaff from this cozy home. There is plenty of space in this 4 bedroom house and you will enjoy not having to use your car to get to any of your daily activities due to the proximity to the driving range, the first tee, and the tennis court. Enjoy happy hour at the Canyon Clubhouse and relax by the pool. There are ponds nearby in the neighborhood for fishing. It is a 2 golf course 2 pools jacuzzi tennis top notch country club the member ship is avaialable for golf & Tennis Fitness Gym etc to tennants who lease for one year starting May of 2017. extra 700.00 dues / month. Please Call me the onwer for details. Use of any of the common area facilities (Golf Courses, Golf Practice Areas, Golf Course Paths, Putting Course, Pools, Tennis Courts, Clubhouses, Restaurants, Fitness Centers, Sports Park, Ponds/Lakes, walking paths, disc golf course, playgrounds etc.) IS STRICTLY PROHIBITED by anyone leasing a home unless accompanied by a Forest Highlands Golf Club Member. Renting or leasing a home in Forest Highlands gives you access for ingress and egress to the home only, and use of the roads (not walking trails) for walking/biking. Security deposit is 1.2 times the monthly rent in addition to above fees. 5000/ mo in the summer May - Oct.